Earlier this year, our babysitter Candice told us that our son Denali looked just like Russell from the movie UP. And because he really did, the name stuck. Since then, we often call him ‘Baby Russell’. So for Halloween we wanted to dress him up like Russell. I started gathering his costume from different places and made quite a bit of it on my own. Once he had the entire costume on, he really could have passed for the real-life-version of the character on the show. We went to a Halloween party with over 150 guests. 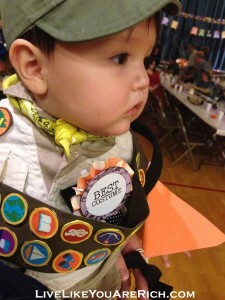 There was a costume contest and Denali won the Best and the Cutest Costume. The next night we went to my brother’s neighborhood Halloween party and Denali was also highly complimented. 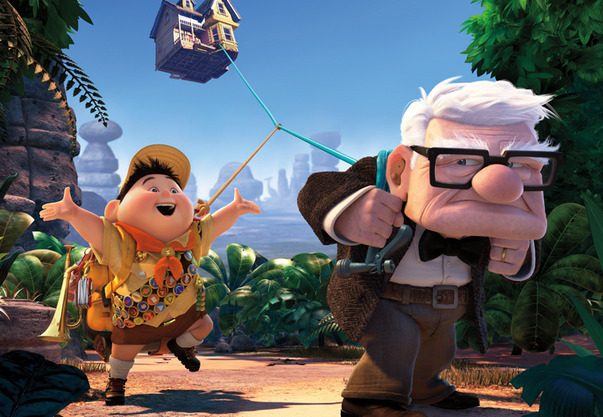 Although they didn’t have a contest, many people said if there had been one he would have won because he looked just like Russell. The next day was Halloween and we got a call from my sister-in-law. 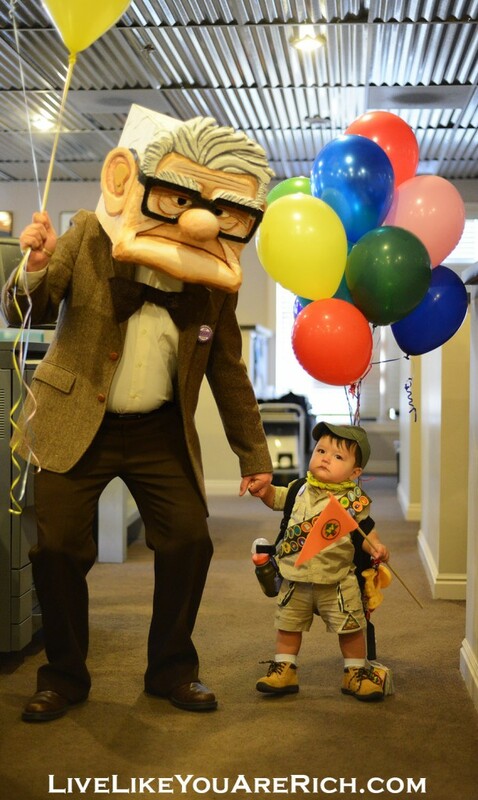 Her friend, April who had seen Denali the night before went to work and, low-and-behold, her coworker was dressed up as the PERFECT Mr. Fredrickson. She asked me if we could bring Denali in for a little photo shoot. We went in and they both just clicked. Seeing them together (if you have seen the movie) just melts the heart. 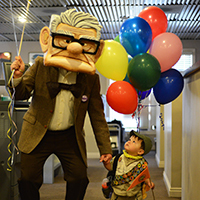 Just today I got a text from Mason (the Mr. Fredrickson). 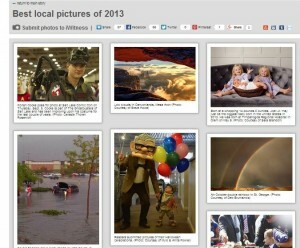 The photo was submitted to the largest News/TV/Weather Station in Utah chose Mason and Denali’s photo (as well as 19 others) as the Best Local Pictures of 2013. 2013 has been an awesome year. This is definitely a highlight for us and others who know Mason or Denali. If you are visiting this blog for your first time, feel free to look at my other articles. It has only been up for just over a month and has already had over 30,000 viewers. And there are A LOT of helpful articles, tips, and resources scheduled for 2014. 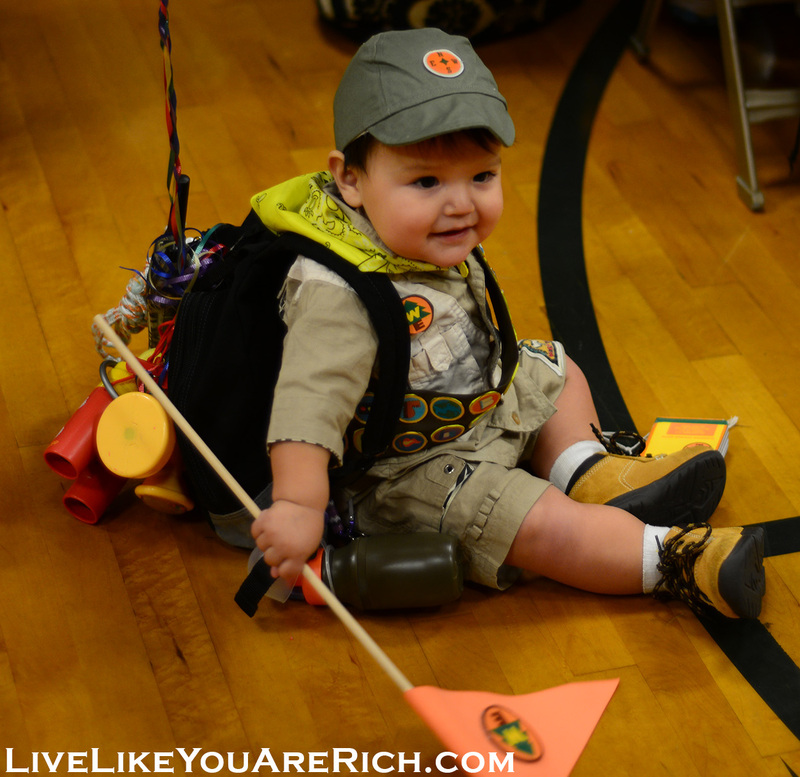 Relating to this little post, I will be posting articles on: how to make a Russell costume for under $18.00, how to sew a scout sash/’Wilderness Explorer’ sash, how to make a wilderness handbook, and how to throw an awesome UP-themed party for under $125.00! I have already posted how to make the badges here. 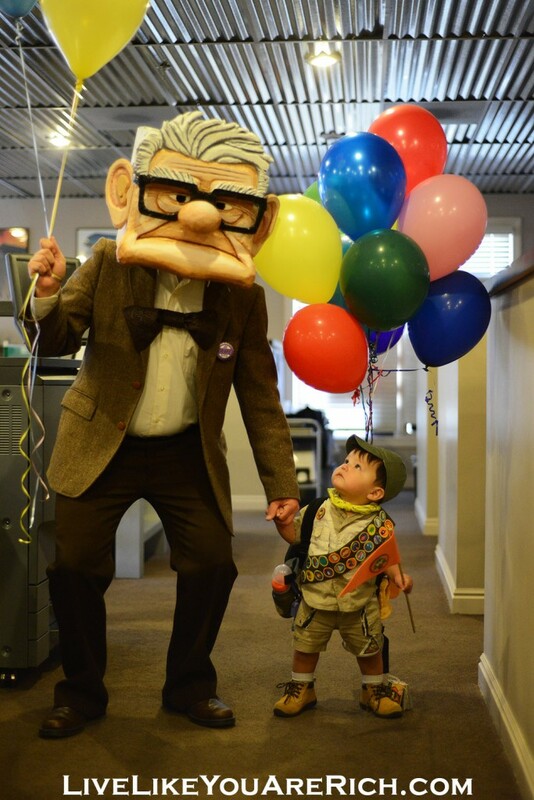 Also, I am SOOO excited that Mason agreed to do a guest post on how to make his ingenious Mr. Fredrickson costume found here!! If you haven’t been here before, LiveLikeYouAreRich is about the rich life (both materially and non-materially). Please subscribe, Like me on Facebook, and Follow me on Pinterest for updates on these upcoming blog posts and other ‘living rich’ tips. How to Make a Russell Costume from the Movie UP How Our Income Property Helped Us Overcome 3 Major Obstacles How To Make a Mr. Fredricksen Costume from the Movie ‘UP’.